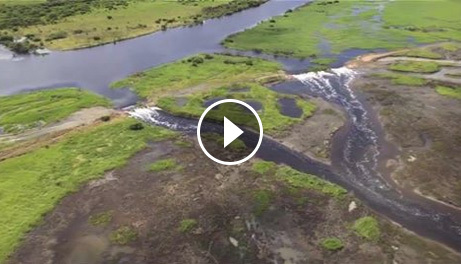 A picture is worth a thousand words … this Facebook video, by Mark Rolle of Darwin’s Helifish, shows the state of the run-off in part of the Top End, the popular Shady Camp/Mary River region. You will probably need to be signed into Facebook to see the video. So you want to go barramundi fishing? We suggest you go to the Northern Territory, which has the best barramundi habitat in Australia. The "best habitat" means tidal rivers with vast floodplains, and a strong annual wet season. The huge fertility of these rivers provides enough fodder fish for the voracious barramundi to thrive in large numbers. 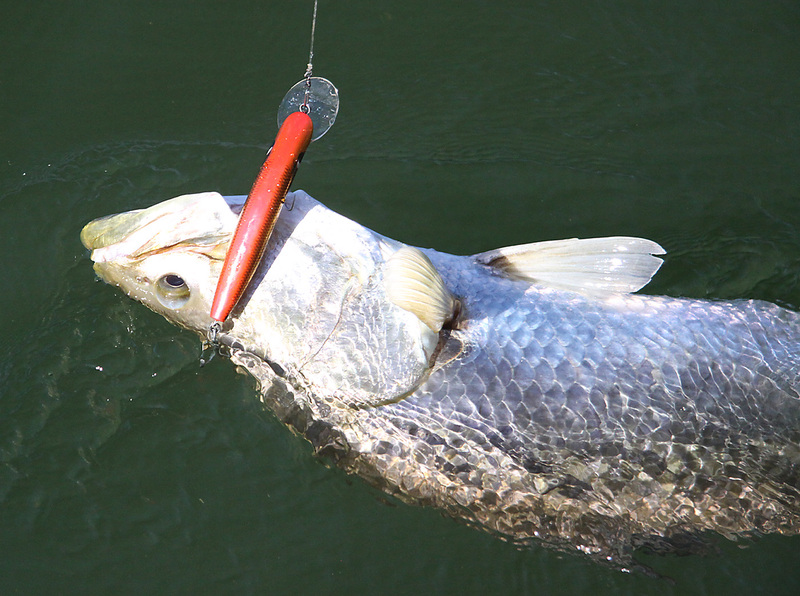 There’s a few ways you can go barramundi fishing. You might wish to take your own boat north, or you can fly or drive in and hire a professional fishing guide. The second option is simpler, usually more successful, and often cheaper when you take into account time spent exploring and learning when you do it yourself. But with the 404-page book called North Australian FISH FINDER now available, with maps of rockbars, reefs, boat ramps and more, it has never been easier to plan your own self-drive fishing adventure. Either way, a little knowledge and planning will vastly improve your chances, and this website will help you with that. 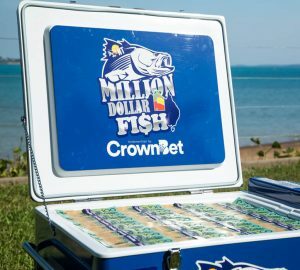 The Northern Territory great Million Dollar Fish promotion saw 75 tagged barra worth $10,000 each, and a 76th fish worth $1 million, released into various Top End waters to promote tourism. If you though this promotion was a bit of a croc and none of the fish would be caught, you were wrong! The Million Dollar Fish comp started only in October, and four of the $10k barramundi have already been caught. Read the story about the fourth fish, taken from Corroboree Billabong here. There’s never been a better time to fish the Top End, with the Million Dollar Fish event running until the end of February 2016. The fish have been released across the NT, so you have a chance to catch one no matter where you fish. Grab your copy of the northern fishing bible North Australian FISH FINDER today and start planning, or make is simple and just book a trip with a professional barramundi guide. We interrupt our total lack of 2015 posts with a hugely important update … Tourism NT has launched a promotion where 75 tagged barramundi worth $10,000 each will be released into Territory waterways. A 76th barra with $1m on its head will also be released, with fishing for the prize fish allowed between October 2015 and February 2016. Now this is the best reason there is ever likely to be for taking the boat north, or flying up and booking a guided trip. Grab a North Australian FISH FINDER book today and start planning. The $10,000 tagged ‘silver nuggets’ will be released across the NT, and the book has those spots covered with rockbar maps etc. Get more info about the NT’s Million Dollar Fish promotion here. You must register to enter fish.